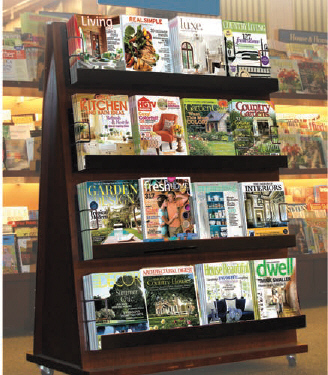 PDG Mags | The Leader in Speciality Magazine PublicationsPDG is a full-service international distributor of magazines, books, newspapers, and comics. Traditional Distribution - to all magazine wholesalers who in turn distribute to supermarkets, drug stores, convenience stores & transportation outlets. Alternate Distribution - this includes specialty distributors, newspaper distributors, secondary wholesalers and jobbers who service retailers not on distribution by the traditional I.D. wholesaler. Direct to Retailer - we have the most extensive telemarketing operation in the distribution industry, offering direct specialty magazine accounts. Bookstore Distribution - Marketing and distribution of periodicals to national, regional, local, chain or independent bookstores on a direct basis or through national reship distribution. Foreign Distribution - distribution to all foreign markets that purchase English-language products. With a dedicated staff of experienced professionals, PDG provides its publisher clients maximum service with a personal touch. Backed by 30+ years of hands-on experience, you profit from the unique capabilities of the industry's leading Special Interest Distributor and gain a competitive advantage in reaching your target audience. Our circulation goal is to help you reach the optimum targeted consumer audience by obtaining maximum coverage and sales efficiency with wholesalers, distributors, and retailers. Our services are designed to make your single-copy sales a powerful contributor to your circulation profits. Marketing and Distribution Solutions developed for each title, REGARDLESS of your size ... spanning all areas of North America and selected foreign markets.